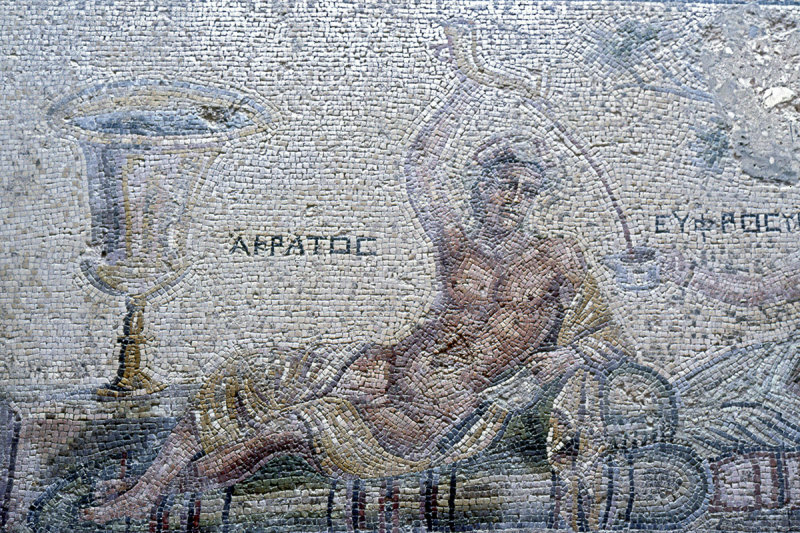 This is the Acratos and Euphrosyne mosaic. Acratos is a god symbolizing men who easily fall for women. She is one of the daughters of Zeus and symbolizes "things nice". Pouring into a smaller cup. Probably after having first filled it from the huge vat standing to the side.